How about a fun and easy project to start this Halloween season? 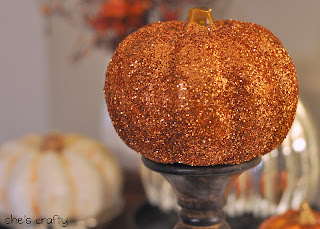 I used a dollar store pumpkin, mod podge and orange glitter. It's pretty self explanatory. 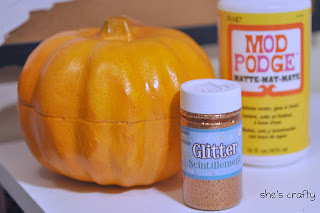 I just painted the mod podge onto a section of the pumpkin then poured glitter over the top. When one section was dry I moved onto another one. 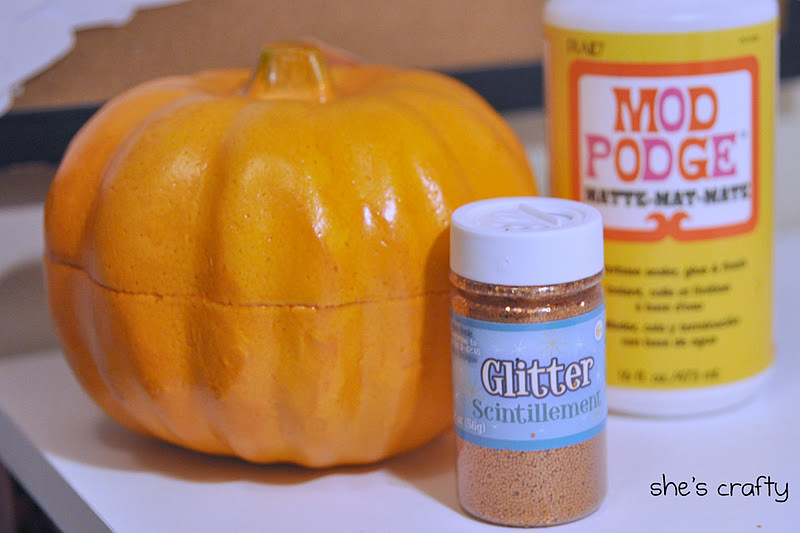 There were some holes where the glitter didn't stick or I didn't put it on thick enough, so I went back over the holes with more mod podge and glitter. 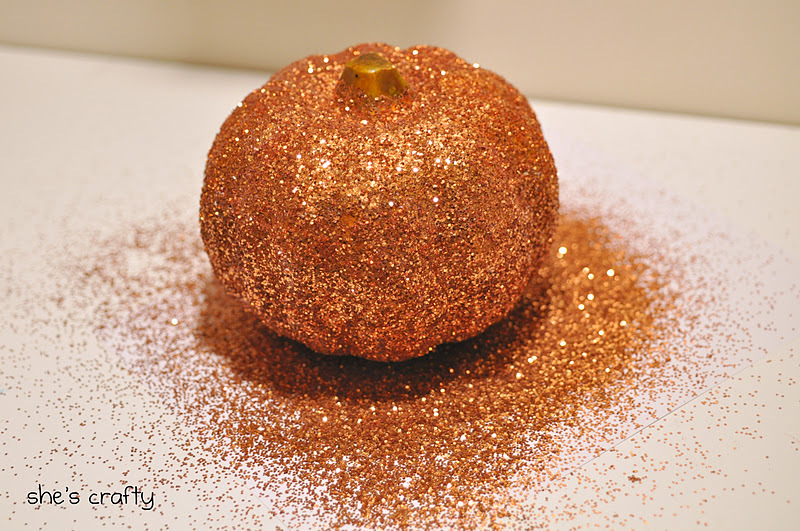 After it was dry I sprayed it with hairspray, thinking it would hold the glitter on. I'm not sure if it was necessary, but the glitter seams to be staying on pretty well. 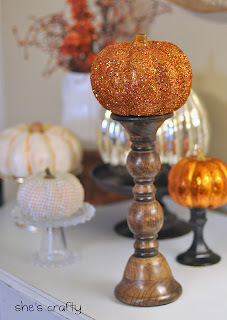 Then I put it on top of a tall candle stick and there it is -an inexpensive and easy Halloween/Fall decoration! 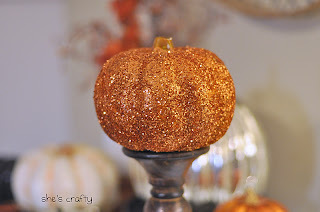 You can view all of the pumpkins in the picture here. Glitter makes everything better! Very cute.